NYC, 05/24/2019, 1:00PM. 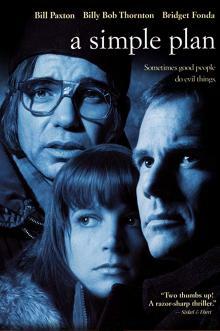 A Simple Plan (1998): Money Creates Trust Problems Among The Group. 121 min. Director: Sam Raimi. Starring Bill Paxton, Billy Bob Thornton, Bridget Fonda. A Simple Plan earned multiple awards and nominations, among them two Academy Award nominations for Best Supporting Actor (Thornton) and Best Adapted Screenplay (Smith).